Black Lace Ink maintains the highest standards for cleanliness and safety. Items that come in contact with our customers are disposable, including needles, razors, gloves, tongue depressors... you know, the stuff that makes going to your brother's buddy's friend for a tattoo a really bad idea. We are blood borne pathogen trained and certified, and pass rigorous inspections from both our management and the health department. So while we can't always promise you'll be comfortable getting new ink, we can commit to a clean and safe environment with amazing artists. 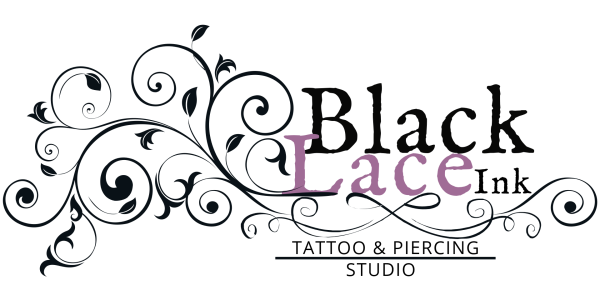 ​​Black Lace Ink has gone GREEN! That's right! None of the materials we use during the tattoo and piercing process contain any dyes, preservatives, or petroluem. It's all pure organic! ​We only use products made from our sister company, Good Vibes Tattoo & Body Care. They use the highest quality ingrdients to reduce swelling, pain, and irritation caused by the tattoo and piercing process...leaving your skin better than when you came to us in more ways than one! ​Check out their page for more information on how you can get your hands on these amazing healing products! 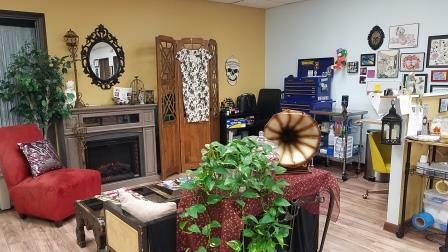 ​​Black Lace Ink is the home and founder of Central Philosophy Piercing, a technique using Eastern Philosophy concepts in conjunction withWestern Medicine practices. ​We perform piercings to help relieve stress, anxiety, migraines, aid in the relief of symtoms caused by OCD and ADHD, and even help in the bedroom department! ​Visit our piercing page or stop by the shop to speak to one of our piercers for more information on how CPP can help you today! ​​We love what we do. We get to take your ideas, your self expression, and make them a permanent part of your future. We don't take that responsibility lightly. We specialize in custom design and a consultative approach to working with our clients and their ideas. So unless you're cool with your brother's buddy's friend slashin' you with a blade and a bottle of prison ink, come visit Black Lace Ink and check us out! We are committed to making your experience unforgettable!